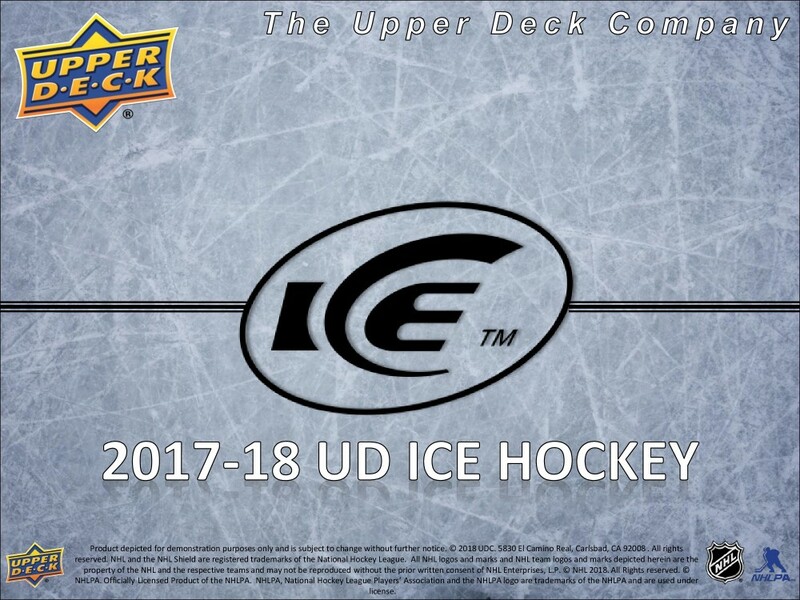 Each 2017-18 Upper Deck Ice Box contains 4 packs with 6 cards in each pack! 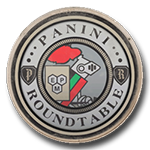 Find The Super Rare 1 of 1 Black Parallel. 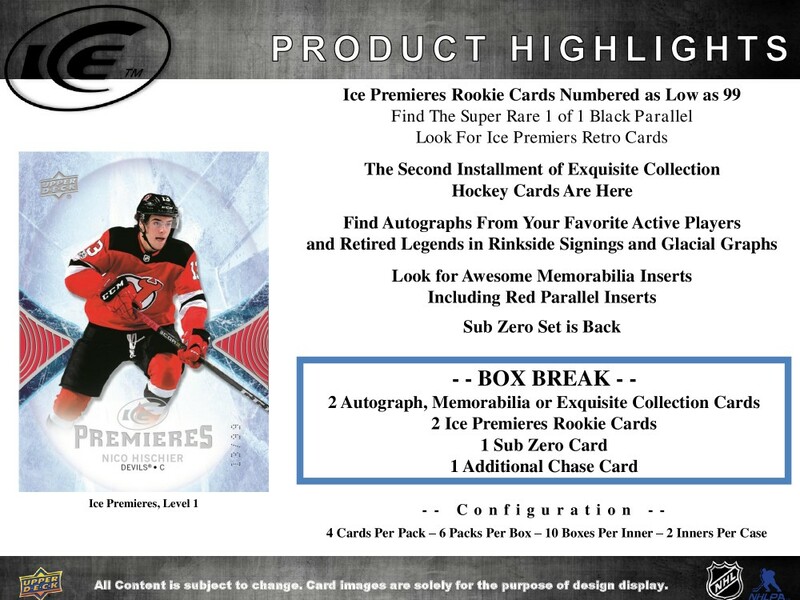 Look for Ice Premieres Retro Cards. 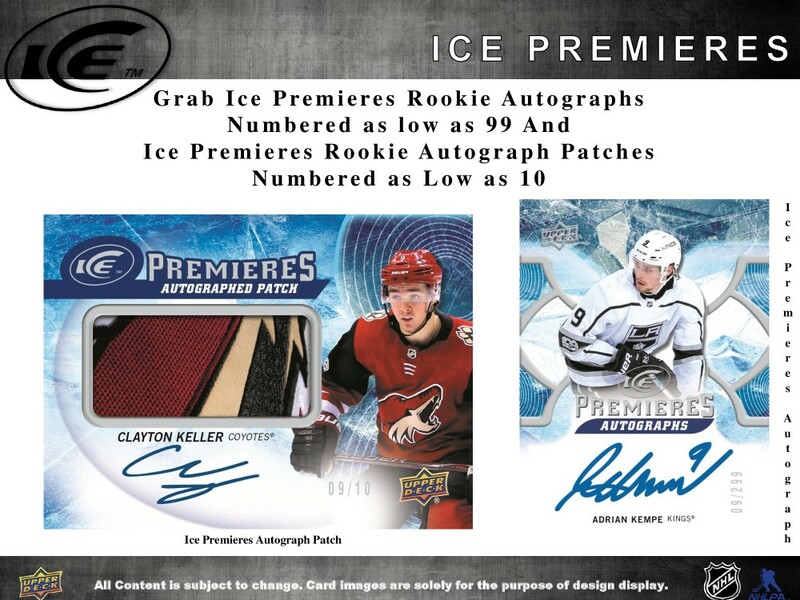 And Ice Premieres Rookie Autograph Patches Numbered as Low as 10. 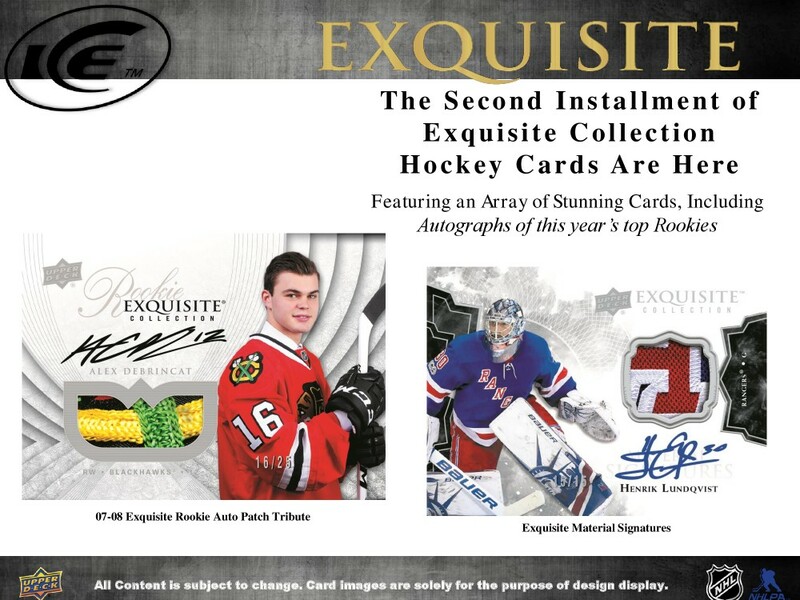 The Second Instalment of Exquisite Collection Hockey Cards Are Here. 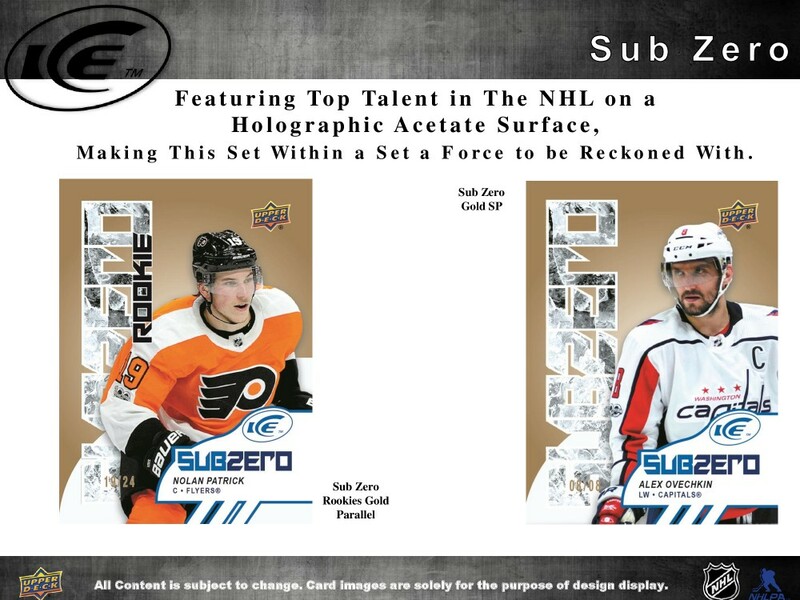 Featuring Top Talent in The NHL on a Holographic Acetate Surface, Making This Set Within a Set a Force to be Reckoned With. 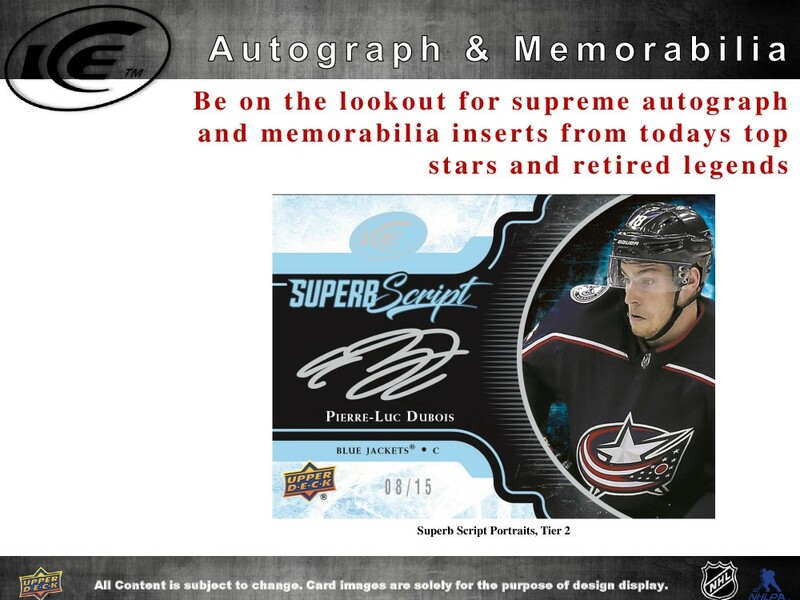 Look for Awesome Memorabilia Inserts Including Red Parallel Inserts. Featuring Frozen Foursomes With 4 Swatches from 4 Different NHL Stars.